THE speed at which glaciers and ice caps in Asia are melting may not be as high as predicted earlier. But across the globe, they are melting at a furious rate, says a recent study. About 150 billion tonnes of ice is melting annually from glaciers and ice caps, except from those in Greenland and Antarctica. From the high Asian mountains, including the Himalayas, the Pamir and the Tien Shan, the total annual ice loss is about 4 billion tonnes, say scientists at the University of Colorado, Boulder. 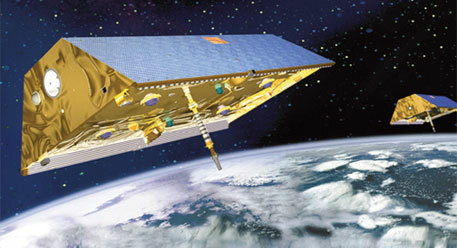 They used satellite data of Gravity Recovery and Climate Experiment (GRACE) to arrive at the conclusion. The study appeared in the online edition of Nature on February 9. Earlier studies had pegged Asia’s figure at 50 billion tonnes. A joint venture between NASA and German Aerospace Centre GRACE has taken the method of calculating ice loss one step ahead. John Wahr, theoretical geophysicist at the university and co-author of the study, explains, “Every month, GRACE maps the earth’s gravitational field across the globe.” Let’s say the satellite passes Alaska and measures the gravitational pull there. If it records reduction in the pull in the second round, scientists conclude that ice mass in glaciers present there has reduced. Use of satellite records ensures that no glacier is missed in the calculation, says Wahr. In ground sampling, glaciologists can study only a few lower glaciers and have to extrapolate those results to glaciers at higher altitudes. But why are the Asian glaciers, especially in the Himalayas, slow in melting? That’s because “changes in glacial mass depend not only on changing temperatures, but also on changing snowfall rate,” explains Wahr. The two factors, especially changing snowfall rates, can be very different in different parts of the world, he adds. Glacial mass in ranges like the Karakoram may be increasing because of more winter snowfall and lack of warming during summer in the past two decades, says Graham Cogley, glaciologist at Trent University in Ontario, Canada. However, GRACE cannot take measurement of regions that have little glacial ice, he says. We need to know if adding this ice to the calculation would change the ice loss figure, he adds. Wahr sees a huge problem in Greenland and Antarctica. Between 2003 and 2010, the sea level increased 1.5 mm annually due to melting of glacial ice. Ice loss in Greenland and Antarctica during this period was a high 385 billion tonnes. The results reinforce the idea that ice melt from the two places is significantly larger than those the rest of the world, he says.